Choosing the best courier to deliver your parcel to its location in Spain isn’t always straightforward. There are a lot of couriers out there, all offering different rates and levels of service. At NI Parcels, however, we make it easy for you to find the best service and the most competitive price every time. All it takes is a few clicks and then you can leave the rest up to us. Your parcel is in good hands. We put our years of experience and large network of contacts in the industry to good use on your behalf. Thanks to the great working relationship we have with tried and trusted courier companies such as Parcelforce, FedEx, City Air Express, DPD, Captain Courier and others, we’re confident we can offer you a first class service at amazing prices. In fact, customers often tell us that compared to other providers, we save them up to 80% on the cost of their parcel delivery to Spain. No matter the size, weight or quantity of parcels you want to send, you’ll save money by using NI Parcels. Alternatively, My Baggage offers affordable luggage shipping to Spain. At NI Parcels, you can find the best option for sending your parcel to Spain in a few simple clicks. Visit our homepage and simply state where you want the parcel collected from in the UK, or anywhere in Ireland, and the destination you want it delivered to in Spain. 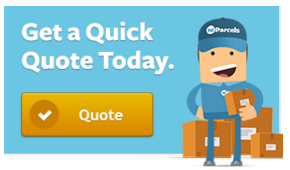 Sending more than one parcel is no problem, just enter the weight and size details and instantly, you’ll see a range of competitive quotes for the service. All you have to do is pick the one that suits you best, in terms of price, delivery and convenience of collection from your location, and we’ll do the rest. We’ll arrange to pick up your parcel and you can follow its progress online, all the way to its destination in Spain. We know how much it matters to you that your parcel reaches its location in Spain. You may be sending a special present to an old friend in Granada, important documents to a family member in Valencia, or product samples to a potential customer in Madrid. To us, all your parcels and packages are important and are treated with professional care every time. At NI Parcels, our efficient and friendly team takes pride in delivering a first class service at great prices, to each and every customer.